Always a fun and exciting experience! 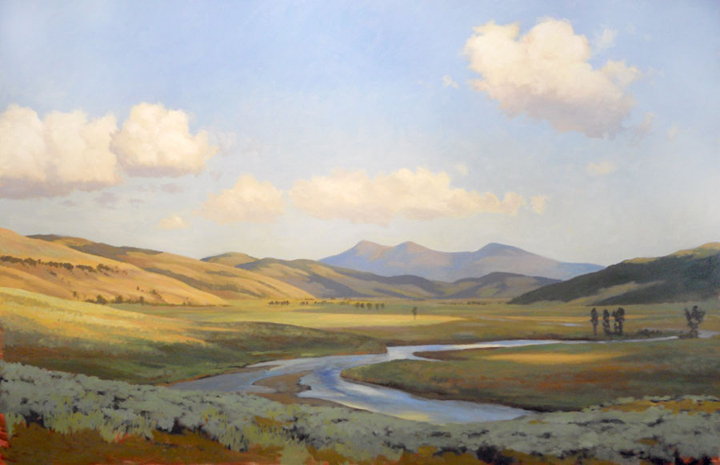 I have had the pleasure to create hundreds of commissioned paintings in the last 35 years. Each painting has been a delightful adventure into painting the vision and feelings of the client, whether it is a specific color palette, specific image, specific size, time of day, season, weather or just capture the emotions of their experience. The first step is to establish the basic requirements for the painting. These include painting medium, dimensions and timeline expectations. Establishing any specific color needs is important, I have worked with color and fabric samples when needed and I enjoy the challenge of creating a palette to fulfill these needs. Where the painting is intended to be displayed. This is important due to the type of light available (natural light, spot lights, fluorescent light, etc.). If the painting is exposed to an abundance of natural light I inquire about the type of UV protection of the adjacent windows. I also cover the high quality pigments I use and the lightfastness of these products. If needed, I make recommendations for addition protection from possible ultraviolet light damage. I discuss the cost of the artwork including approximate frame expenses. Although I do not charge additional fees for commissions I do require a 50% deposit to commence the project. I make it clear that they must be completely satisfied with the painting. I can make small alterations to a chalk pastel however, I am limited by the saturation of pigment on the paper. Oil paintings are more forgiving if changes are necessary. If requested, I then provide a study or marquee for the intended commission. Depending on the size and medium a commission can take 4-8 weeks to complete. 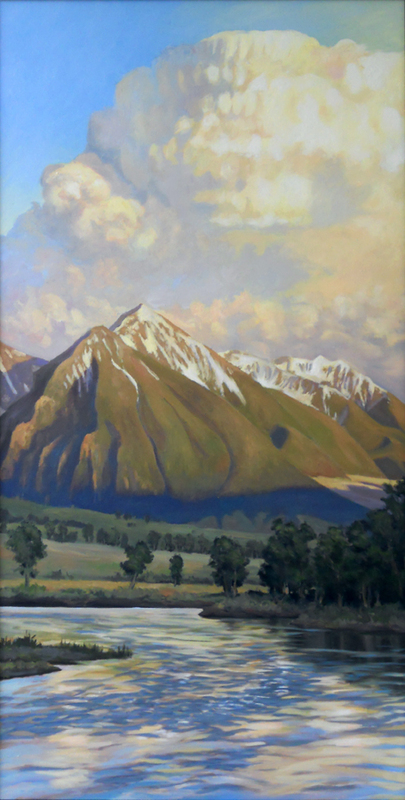 This oil painting is of the Abzorka Mountains along the Yellowstone River. 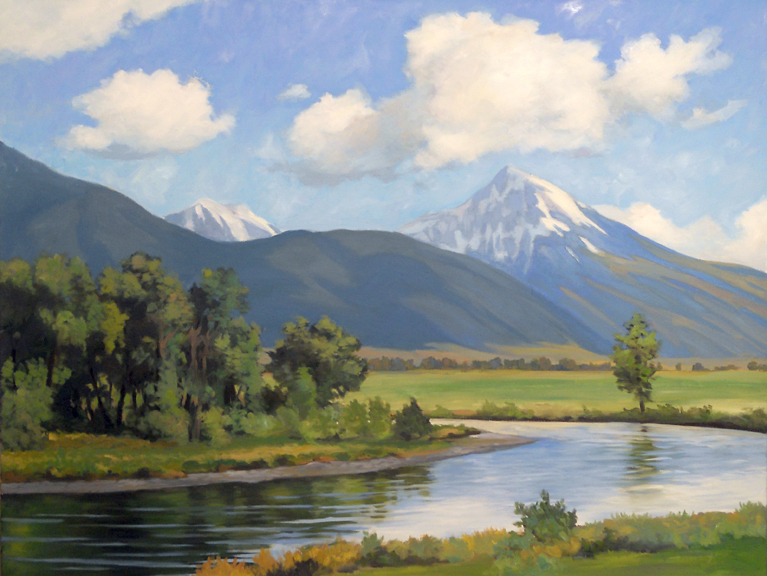 32" x 60"
Yellowstone River with Emigrant Peak in the background.